Police in Canada are looking into the deaths of two young boys who appear to have been strangled by an exotic snake. The boys, ages 5 and 7, were found dead Monday morning at an apartment in Campbellton, New Brunswick. They had been sleeping over at a friend's apartment above a reptile store, according to a statement from the Royal Canadian Mounted Police. Early indications suggest that a snake from the store escaped its enclosure, got into the ventilation system, then the apartment, and strangled the two boys, the statement said. The snake was captured, and police have it in their possession. Autopsies on the boys' bodies will be performed Tuesday. A neighbor, Diane Fournier, has lived on the same street as the pet store for 12 years. She described the deaths as "shocking." "I knew the kids. They were brothers. They played in my yard with my dogs all of the time," she said. Fournier sent CNN a photograph her husband took of the store. It showed police cars, cones and yellow tape blocking off the area. The store, Reptile Ocean Inc., offered condolences on its Facebook page before shutting it down. "deepest symphathies goes out to the family of the children. a terrible accident without a meaning. this page will be shut down temporarily to avoid any further demeaning comments. you should be ashamed of yourselves," the post read. "we all have a heavy heart today. as anyone would. and attacks on the animals owner are unneccesary." As many as 100,000 residents of Calgary, Alberta, could face evacuation because of flooding, the director of emergency management said early Friday. Mandatory evacuation orders have been issued for 20 communities, Bruce Burrell said. Parts of of southern Alberta face rising floodwaters and the possibility of more rain. The levels of the Bow and Elbow rivers are expected to peak overnight, but not drop until late Saturday at the earliest, he said. 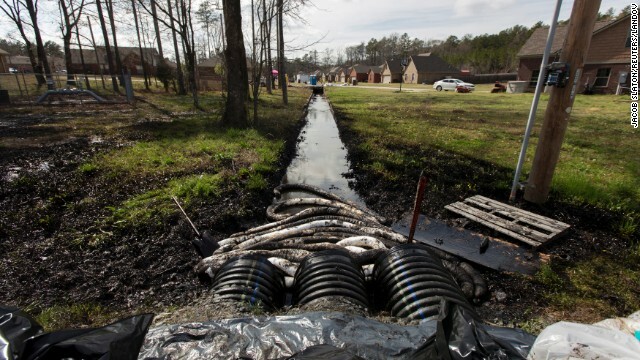 "I have never experienced any flooding of this magnitude," he added. People on both sides of the border felt an earthquake originating around the Quebec and Ontario borders, the Canadian government said. Natural Resources Canada gave it a preliminary magnitude of 5.2; the U.S. Geological Survey put it at 4.4. 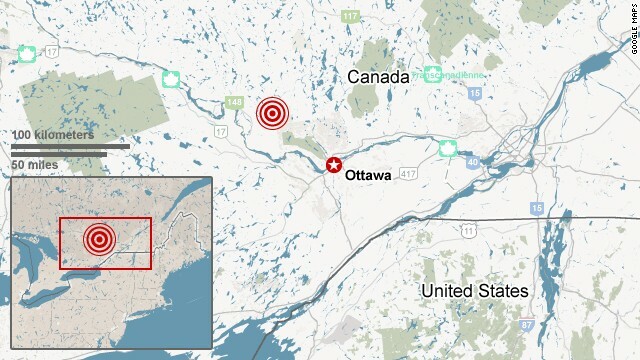 With an epicenter about 11 miles (18 kilometers) from Shawville, in western Quebec, the quake was felt in the Ottawa-Gatineau area and out to Toronto, more than 260 miles away. It hit a nerve in New York state and Cleveland, too. Two men accused of planning to carry out an al Qaeda-supported attack against a passenger train traveling between Canada and the United States will make their first court appearance on Tuesday, police said. The hearing in Toronto's Old City Hall Court comes a day after the Royal Canadian Mounted Police announced they had arrested 30-year-old Chiheb Esseghaier of Montreal and 35-year-old Raed Jaser of Toronto. The two men face charges of "receiving support from al Qaeda elements in Iran" to carry out an attack and conspiring to murder people on a VIA railway train in the greater Toronto area, Assistant Police Commissioner James Malizia said. Official: Thwarted plot targeted train to U.S.
Canadian authorities have arrested two men accused of planning to carry out an al Qaeda-supported attack against a passenger train traveling between Canada and the United States, a U.S. congressman told CNN on Monday. "As I understand it, it was a train going from Canada to the U.S.," Rep. Peter King, R-New York, chairman of the counterterrorism and intelligence subcommittee, said. The news follows an announcement earlier in the day by the Royal Canadian Mounted Police that they had arrested Chiheb Esseghaier, 30, and Raed Jaser, 35. The two men are charged with "receiving support from al Qaeda elements in Iran" to carry out an attack and conspiring to murder people on a VIA railway train in the greater Toronto area, Assistant Police Commissioner James Malizia said. Rehtaeh Parsons, 17, struggled emotionally after she was allegedly gang-raped two years ago -- a case authorities initially didn't press charges on, but have since reopened. 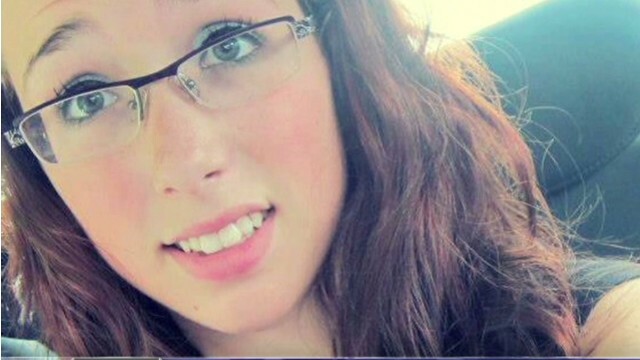 Police in eastern Canada announced Friday they "are reopening the investigation involving Rehtaeh Parsons," the 17-year-old who tried to kill herself after she was allegedly gang-raped and bullied. Rehtaeh, a high school student from Halifax, Nova Scotia, was taken off life support Sunday, three days after she attempted to hang herself. The HRM Partners in Policing - which includes Halifax Regional Police and a locally based division of the Royal Canadian Mounted Police - said in a statement Friday it was reviewing the case "in light of new and credible information that has recently been brought forward to police." The spectacular, airborne escape of two Canadian inmates Sunday stunned witnesses and showcased the illicit ingenuity behind one of the more creative styles of prison breaks. But while astonishing, helicopter escapes are not unheard of. For decades, crafty inmates have fled into the sky - some with more success than others. Even by dramatic jailbreak standards, this escape was particularly brazen. Two men posing as tourists reportedly commandeered a helicopter from a Canadian tour company, ordered the pilot to fly over a detention center near Montreal, hoisted two inmates using cables or ropes into the hovering aircraft - and zipped away. All in broad daylight. All in full view of incredulous witnesses. This is a file picture of Revelstoke taken in 2012. 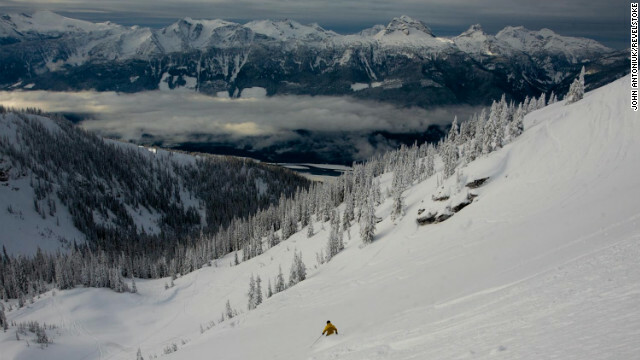 A skier died Friday in an avalanche outside controlled-area boundaries of Revelstoke Mountain Resort in British Columbia, a spokesman for the Royal Canadian Mounted Police told CNN. Two other skiers, who were buried in the avalanche, were rescued by members of their party, said Cpl. Dan Moskaluk. The incident, which was witnessed by resort staff members, occurred between 1 p.m (4 p.m. ET) and 1:30 p.m. (4:30 p.m. ET), Moskaluk said in a telephone interview. A search-and-rescue team was planning to search Saturday for the body. Five crew members and a fishing vessel are missing off the coast of Nova Scotia, a Canadian official said Monday. The Miss Ally sent out an emergency beacon about 76 miles (123 kilometers) southeast of Liverpool, Nova Scotia, Captain Doug Keirstead of Joint Task Force Atlantic said. Coast Guard units from Canada and the United States are searching for the missing boat, which disappeared late Sunday in an area hit by 30-foot seas and wind that exceeded 74 mph (119 kph). An empty life raft was found Monday morning, Keirstead said. The Miss Ally was registered in Shelburne, Novia Scotia. Much of a huge cache of maple syrup snatched from a Quebec storage facility has been recovered, police say. Three people have been arrested and five others are being sought in connection with the theft from a warehouse in Saint-Louis-de-Blandford, Quebec Provincial Police said in a statement Tuesday. 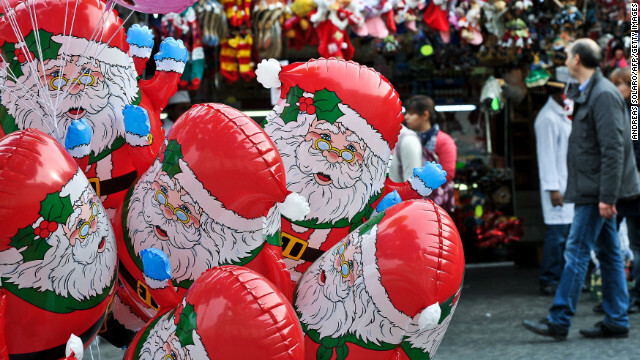 The theft occurred between August 2011 and July 2012, police said. An explosion today in an industrial area in Quebec province killed two people, with another rescued alive after an extensive search, a city spokeswoman said. Seventeen people were hospitalized after Thursday's explosion in Sherbrooke, a community about 150 kilometers (90 miles) east of Montreal, according to city spokeswoman Sylvie Proulx. Four of those were in critical condition Thursday night. Editor's Note: A sizable 7.7-magnitude earthquake in western Canada triggered a tsunami that headed toward Hawaii, prompting evacuations of thousands from coastal areas. Geophysicists had feared waves between 3 and 7 feet to lash the Hawaii islands, beginning about 10:28 p.m. local time Saturday (4:28 a.m. Sunday ET). But Hawaii seems to have been spared the worst. There have been no apparent damage from the quake in Canada, nor from the tsunami in Hawaii. Here is the full story. [Update 7:19 a.m.] Evacuations for coastal residents have been lifted, CNN affiliate Hawaii News Now reports. [Update 7:06 a.m.] The tsunami warning for Hawaii has been canceled. A tsunami advisory is now in effect. A tsunami advisory indicates that strong currents or waves that are dangerous to those in or very near the water are expected, but significant inundation is not expected. [Update 6:35 a.m.] Exercise patience. That is the message from Honolulu Mayor Peter Carlisle. "We are not in a position now where we believe it's safe for you to return," he told reporters. "I understand it's an unpleasant thing to stay away from your homes, your loved ones, your pets." He said that until the island is out of the entire cycle of waves, it will be difficult to predict what will happen. "Sometimes the last ones are the dangerous ones," he said referring to the waves. Wailoa Harbor on the Big Island reporting 4 ft waves every six minutes. 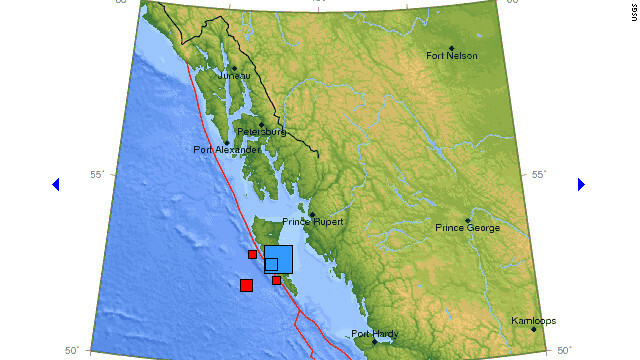 [Update 6:26 a.m.] There have been 23 aftershocks measuring 4.1 or greater since a 7.7-magnitude quake struck off the coast of Queen Charlotte Islands in Canada late Saturday, the U.S. Geological Survey said. [Update 5:50 a.m.] So when can Hawaiians return home? "We believe we’ll have enough information in the next 2 to 3 hours to be able to determine when and if we’ll be able to issue an all clear," said Peter Carlisle, Honolulu mayor. "As of now we do not want people returning to their homes. We want them to stay in a location where they are safe." There should be no problem covering these cakes now. 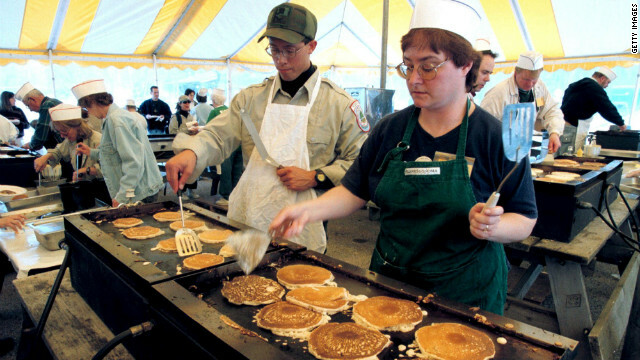 Pancake house patrons across North America, rejoice! 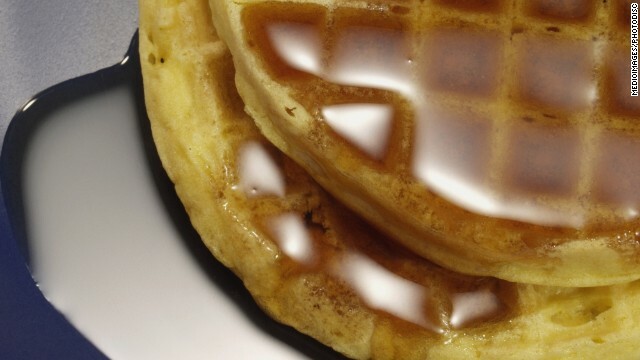 Canadian authorities apparently have recovered a huge quantity of maple syrup stolen from a warehouse in August. Quebec provincial police and Royal Canadian Mounted Police executed a search warrant last week at an export company in the province of New Brunswick, CNN affiliate CBC reported. Etienne St.-Pierre, the export company's owner, told the CBC he bought the syrup from one of his regular suppliers, but police hauled it away in trucks. St.-Pierre's attorney, Sarto Landry, said St.-Pierre had no reason to believe the product was stolen, according to the Globe and Mail in Toronto.